The meeting was called to order at 9:10 a.m. on September 14 by Paul Salerni, Chair. Motion No. 1: to approve the minutes as corrected. Dee complimented Pam for the quality of the Ends reports. Members agree. A review of the Ends statements led to a discussion of the difficulty of measuring success and whether or not there is a difference between excellence and success. The Board entered into a training session and discussion on linkage. 4.2. The job of the board is to represent the ownership in the governance process and to serve as ambassadors of the organization. ENDS: Organizational products, effects, benefits, outcomes, recipients, and their relative worth (what good for which recipients at what cost). EXECUTIVE LIMITATIONS: Constraints on executive authority which establish the prudence and ethics boundaries within which all executive activity and decisions must take place. BOARD/STAFF LINKAGE: How power is delegated and its proper use monitored; the CEO role, authority and accountability. The board will educate the owners about the governance process and will communicate its decisions and actions. Pam gave a report on the May 2006 Conference in Minneapolis. All agreed that there was an incredible spirit at this Conference which was very well balanced between excellence in playing and the heartfelt, philosophical component. Pam followed her report with a brief review of the early plans for the 2007 Leadership Retreat. The Chair charges the CEO to include current Board members and other members as presenters of leadership topics at the Leadership Retreat. The Board charges the SAA Representative to the ISA (Pam) to advocate for strengthening the message to teachers and parents that is found in the core material books. The meeting reconvened at 9:10 a.m. on Saturday, September 15, 2006. Gail led a discussion on the Honorary Board that included its purpose, size and desirable qualities in potential members. The Board developed a list of possible members and a plan for contacting some on the list. Paul’s presentation from the Nominations Committee began with presenting the list of qualities for SAA Chair that was developed at the fall 2004 Board meeting in Montreal. After some discussion the committee shared its recommendations. Diane gave the Development Committee report. She followed it with a fundraising training session that included a reminder about the importance of frequent communication to keep donors and potential donors informed and connected to the SAA. The Board then turned its attention to consideration of the footage made at the April 2006 meeting with an eye toward understanding potential usage for board development or perhaps in the summer focus groups to demonstrate how the Board develops and modifies policy decisions. The discussion led the Board back to work on Policy 4.2.3. 4.2.3 The Board will seek opportunities to promote understanding of the vision and work of the SAA. Work on the Ends statements continued with brainstorming on the concept of standards and understanding the role of the SAA. Break for a potluck dinner hosted by local teachers. Reconvene at 9:10 Sunday morning September 17, 2006. Paul led a discussion on possible venues, dates and alternative mechanisms for Board meetings. 4.6.1 A. Board meetings will be scheduled on the weekend which includes the third Saturday in September, the second Saturday in January and the second Saturday in April. In the event that there is a conflict with a religious holiday the meeting will be scheduled one week earlier or one week later. Meeting dates will be published every September for the following Board year. Motion No. 5: to appoint Teri Einfeldt to the SAA Board of Directors. Beth G gave the Nominating Committee report. Following this a list was passed out to Board members for feedback. 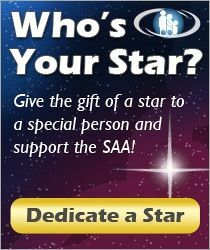 Because Board members are frequently asked to speak about the SAA, work was put toward developing a message concept for use when Board members serve as SAA Ambassadors. The discussion returned to policy 1.0, 1.1, values and the natural checks and balances within the organization. 1.1 Excellent Suzuki programs are widely available and accessible. SAA standards, achievable by various approaches to the application of the Suzuki method, are identified, published and applied by the SAA. Suzuki teachers are being recognized for their level of achievement. A certificate program is in place. Suzuki teachers trained to SAA standards are constantly increasing in numbers. The public can readily access information about teachers who have been trained to SAA standards. Foundation courses consistent with SAA standards of excellence are available in appropriate SAA selected and/or approved venues. Assessment processes are in place to insure that the Teacher Development Program provides consistent and thorough teacher training. The SAA aspires to improve the quality of life in the Americas through Suzuki education. We seek to create a learning community which embraces excellence and nurtures the human spirit. The meeting closed with a review of committee and individual assignments as well as topics and activities for the January meeting. The Chair charges the Development Committee to think about grants from government agencies, specifically the National Endowment for the Arts. Motion No. 8: to adjourn. The meeting adjourned at 11:50 a.m.